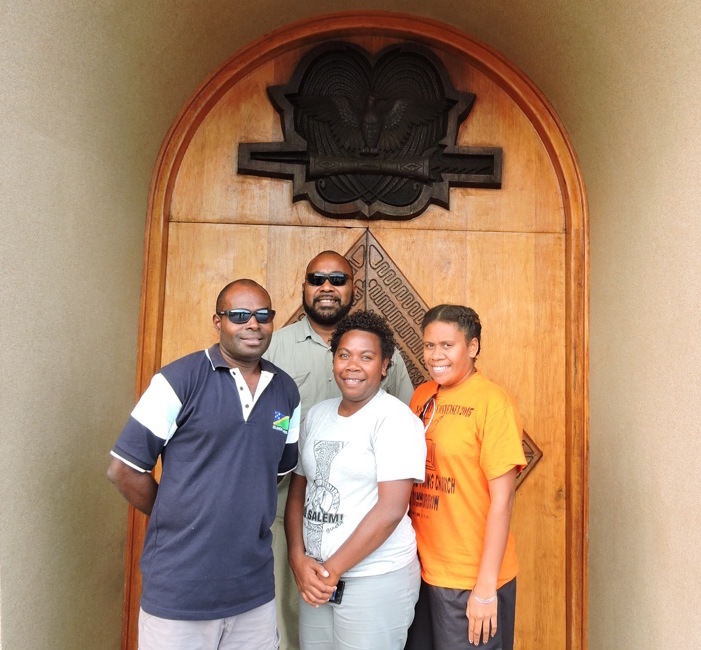 Four young community advocates from Vanuatu have been shocked by the conditions they have seen in Port Moresby and have vowed not to allow their own country to suffer a similar fate. “Papua New Guinea is being raided by foreigners, we need to make sure in Vanuatu we control their activities”, said one after a tour of the city. “We have to be careful in Vanuatu to ensure we do not make the same mistakes and try and move too fast or allow land to be taken so we end up being homeless like people here”, commented another. “Your parliamentarians live in luxury, whereas in Vanuatu, our MPs live with the people. This shows your MPs do not care”, said another. “Your landowner elites are benefitting more than all the rest of the people”. “Your government is making use of the police against its people. In Vanuatu the Police consider and respect the views of chiefs. Our government does not use the Police against the people”. The group were surprised to see the prevalence of imported and manufactured goods in street markets. The advocates are on an 10 day awareness visit to Papua New Guinea to look at development issues. Their trip has been organised by ACT NOW! While in Port Moresby the group visited Pari Village - Badili - Town - Hanuabada - the LNG facilities - University of PNG - City Hall - Parliament - Gordons Market - Gordons Police Barracks - Bomana War Cemetry - the Adventure Park and the Pacific Adventist University. The group have now travelled out of Moresby to the Momase region to see the conditions in rural communities.